AEC began by putting the Kipor range into its own 300-strong rental fleet but before long they were selling Kipor product to a wide range of businesses in different industries. It was not long before AEC was cleared by Kipor and SPE to become an authorised Kipor dealer and the company has not looked back since then. “We can offer our customers the best of both worlds in terms of quality and pricing. 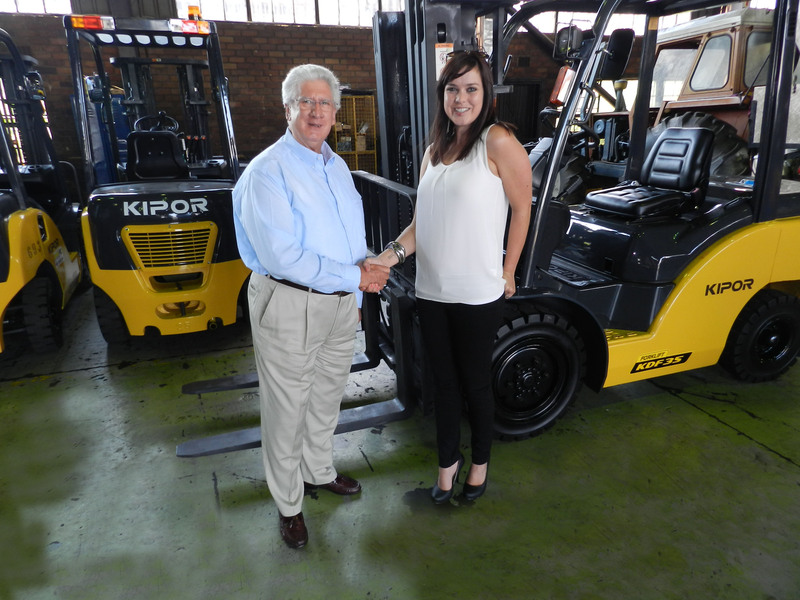 They can choose to rent a new Kipor forklift with full maintenance included or to purchase the machine outright,” says Jeffries. 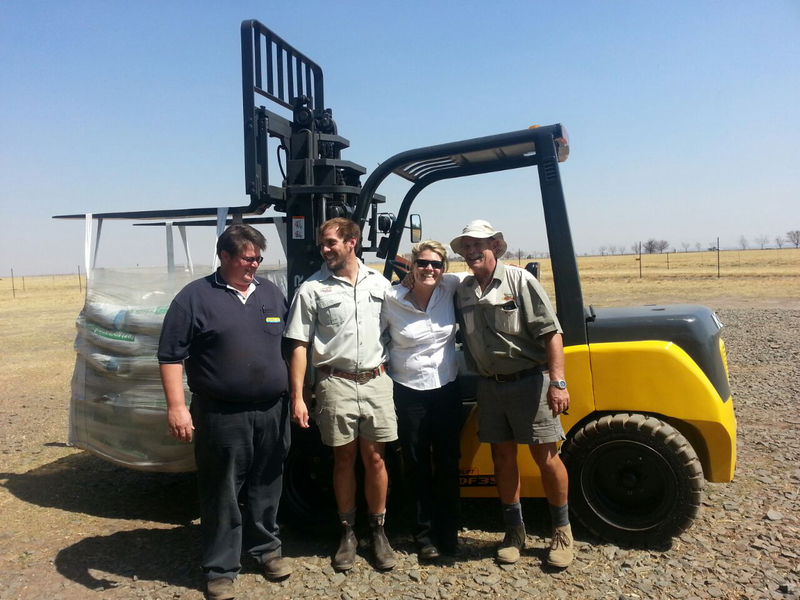 She adds that by having its own specialist forklift workshops, by offering a 24/7 breakdown service, by operating its own roll-back vehicles, by having service agents countrywide and by having so many years of cumulative experience, AEC is able to give a world class, comprehensive service to its customers. “However, the icing of the cake is being able to represent Kipor throughout South Africa. 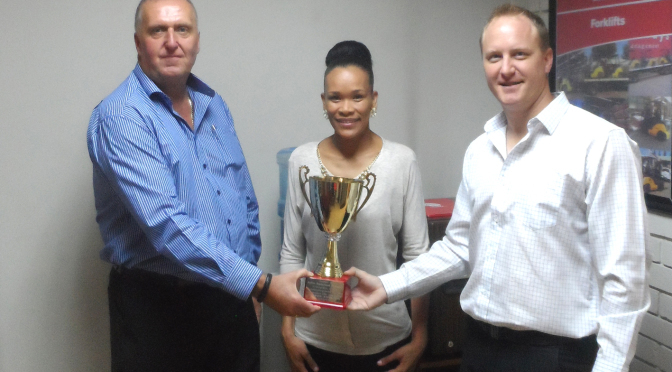 This, in addition to the fact that SPE has, as we expected, provided the best possible service and backup support, has made a palpable difference to our business,” Jeffries says. 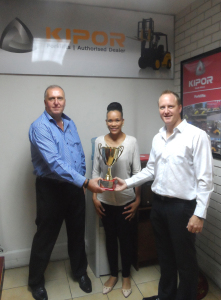 AEC has won “Kipor Dealer of the Year” for two years running now and Tom Bloom (General Manager – Kipor South Africa, says it has been a privilege dealing with them. “Their expertise and ours make a formidable team in the forklift industry,” Bloom concludes. For more information about Kipor or AEC contact Smith Power on 011 284 2000. 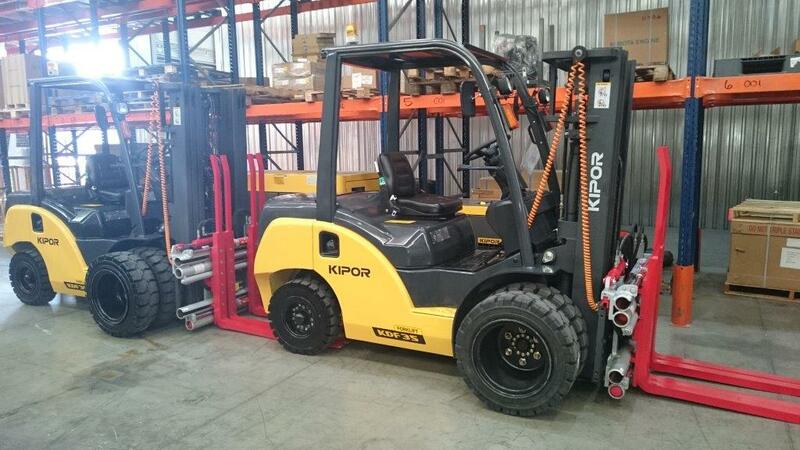 This article was featured in the Forklift SA – February 2015.